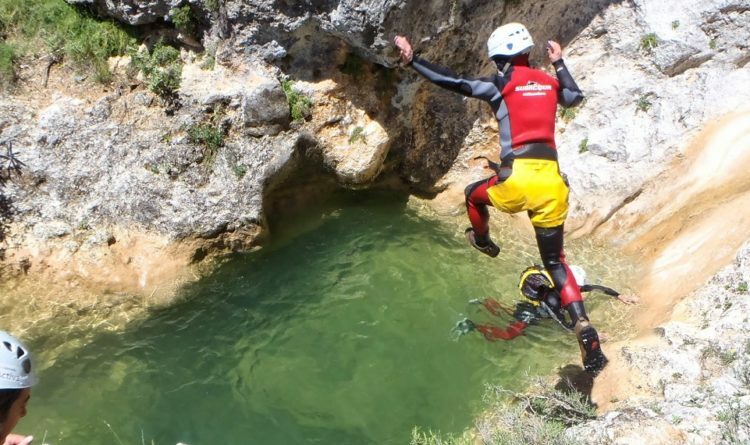 Sima del Diablo canyoning near Marbella, Estepona, Malaga y Ronda on the river Zúas where you can go canyoning throughout the year due to its permanent flow, Especially in summer. Four spectacular waterfalls , one of ten meters high where the water falls vertically this is the only one that presents any difficulties, the others will just put your climbing skills to the test. They say his name, which alludes to the Evil One, which is closely guarded by the riparian forest says it all. 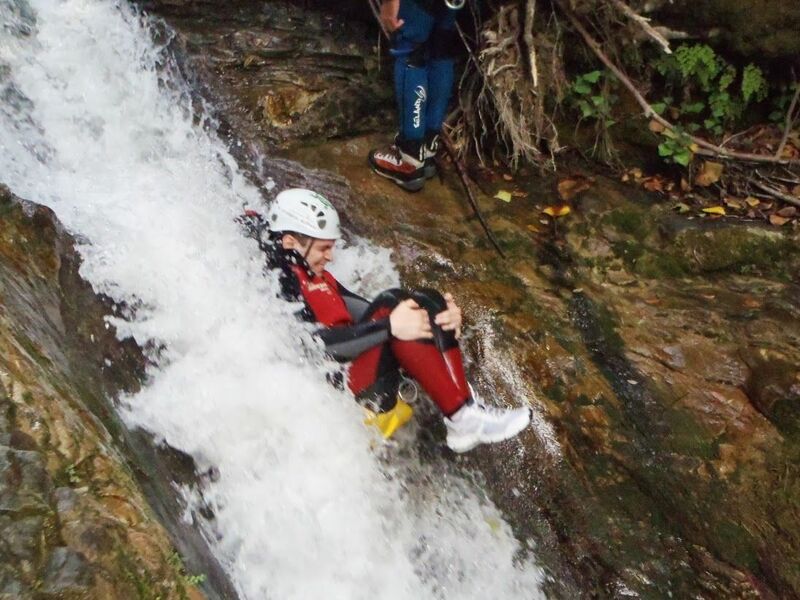 For its abundant vegetation, waterfalls and the constant flow all around the year, this canyoning adventure in Costa del Sol, becomes an unforgettable experience. It is best suited to beginner to intermediate levels all depending on the time of the year. 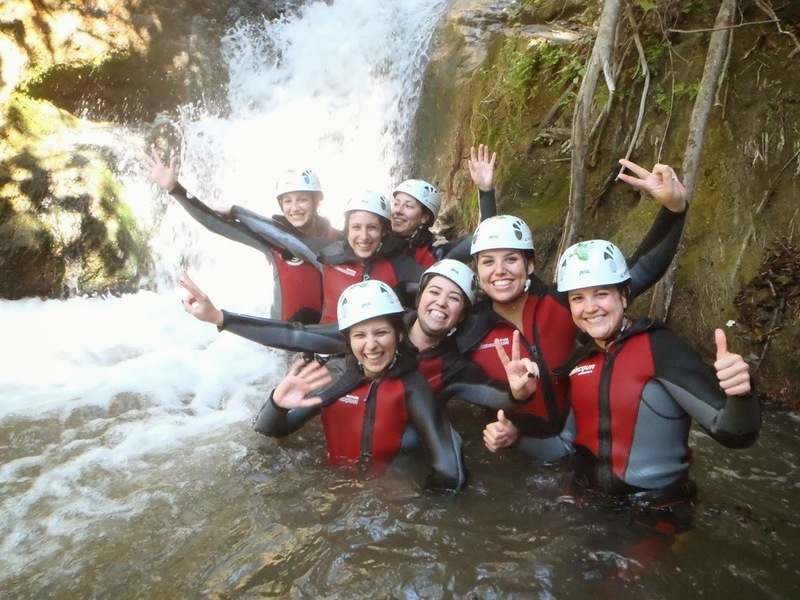 So come and make your dream a reality, canyoning and waterfalls activites in the canyon of Sima del Diablo, near to Marbella. You’ll need to bring a swimsuit, a pair of good grip trainers, a towel and an adventurous spirit We will Provide all the equipment you need (5mm wetsuit, helmet, and harness and canyoning ropes) and a certified guide and good knowledge of the area , Official nature permisions , Accident and liability Insurance. 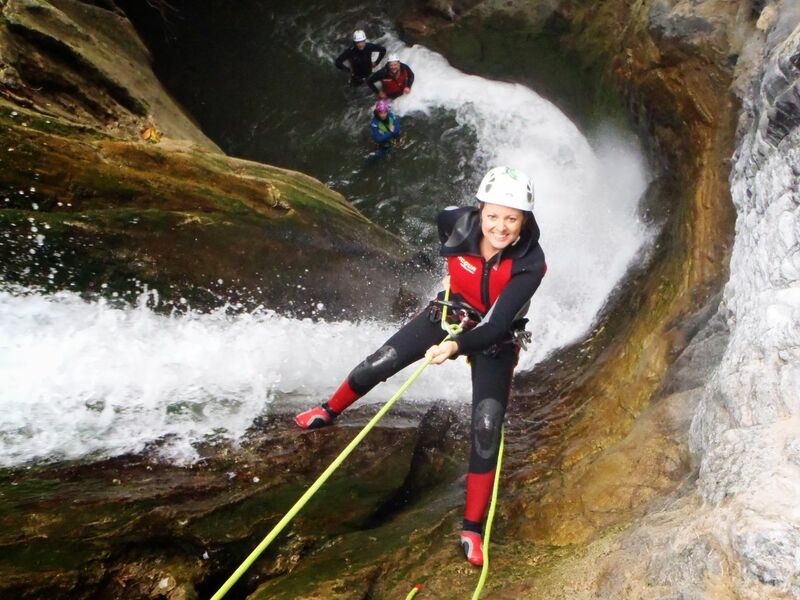 You’re guaranteed to get the most out of this canyoning experience and anventure in a safe and friendly environment in the canyon of Sima del Diablo.